Sue Morris, President of Heritage Services, Omaha, is the recipient of The Architectural Foundation of Nebraska’s Distinguished Commitment to Architecture Award. 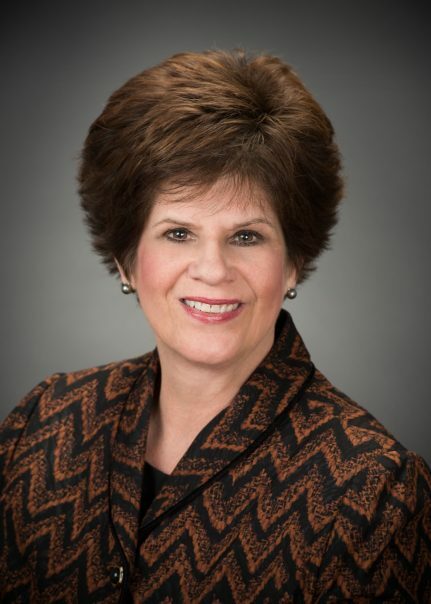 She has been involved with numerous campaigns, totaling over $660 million, including the $75 million capital and endowment campaign supporting Joslyn Art Museum and the Durham Museum, and the development of the $104 million Holland Performing Arts Center, as well as TD Ameritrade Park. Her inspiration to the project team to always support excellence and quality in architecture is legendary. The award, given by the Architectural Foundation of Nebraska, is given to individuals outside the profession of architecture for their activities and accomplishments in the area of professional life, which have notably contributed to the advancement of architecture. The Foundation’s mission is to inform the people of Nebraska of the importance of their environment and the value of architecture, and to raise awareness of the long-term impact of architecture as a signature of culture. Click here for the 2016 recipient, Todd Heistand. Click here for the 2014 recipient, Larry Glazier. Click here for the 2012 recipient, James P. Abel. Click here for the 2010 recipient, Connie Spellman.